Breil released Milano collection in 2010. 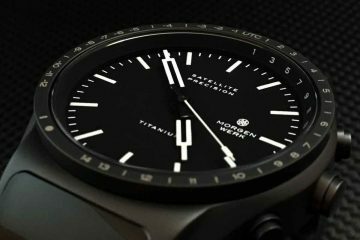 This collection has taken this Avant Garde watch manufacturer to the next level in the eyes of both the adoring fan and critic alike. The BW0376 stands out not only because of the colors Breil chose but also because of its sleek streamlined case shape, and easy to read dial. The case of the BW0376 comes in solid, surgical, brushed stainless steel with black rubber accents along each side. The case is a very flat tonneau shape with a circular bezel and dial. At the extremity of the case is a ridged main crown with black rubber and very slightly raised chronograph pushers which fit nicely with the streamlined concept. 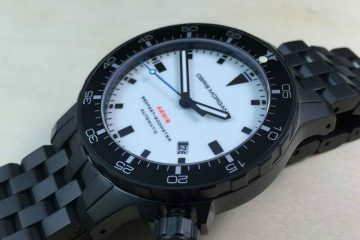 The case diameter stands at 45mm which is large, but due to the shape of the case does not quite seem so. The bezel holds a mineral crystal which, though not as hard as sapphire, still has some scratch resistant properties. The dial is black and features Arabic numerals from 5 to 55 which correspond to the minute track, and the number 12 at the 12 position which corresponds to the hours. 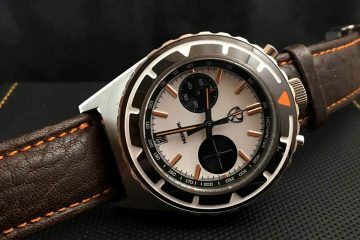 The seconds ring can be found on the flange and is displayed in bright orange which contrasts against the dial and complements the rubber strap of the same color. The true seconds subdial is found at 2:30, while the minutes and hours for the chronograph are located at the 9:30 and 6 positions respectively. The chronograph seconds are displayed using a red tipped central hand. The hours and minutes hands are partially skeletonized and feature lume allowing for legibility at night. At the 4:30 position there is a neat date aperture rimmed in silver tone. 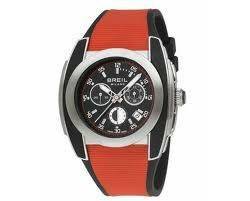 The Breil BW0376 is powered by a Swiss made quartz movement. 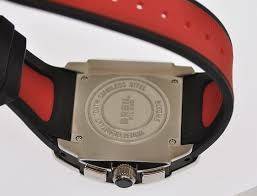 As stated before, the rubber strap is in orange with black trimming, textured for a sophisticated look. This watch uses a classic Tang type buckle for the easy adjustment and removal. This model is manufactured to withstand water pressure of 100 meters (330 feet), making this watch ideally suited for everyday wear.